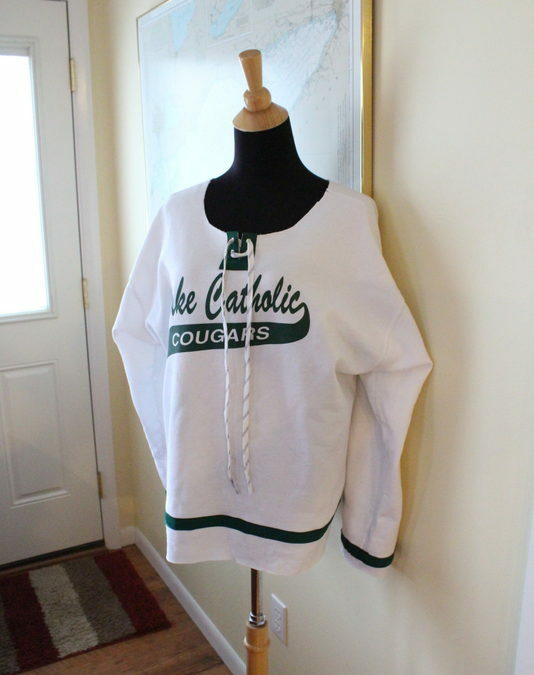 Since I am a relatively new hockey mom, I do not have a lot of spirit wear. 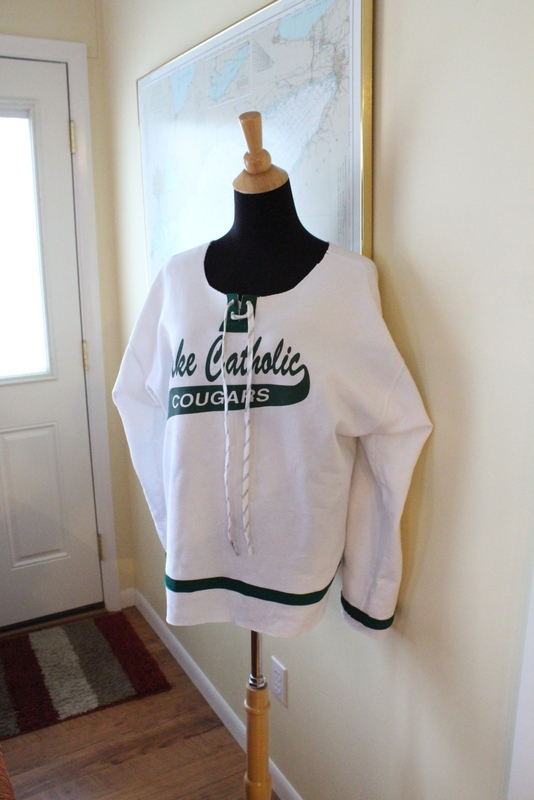 We had a lot of tournament games over the holiday season, so I whipped up this throwback-style hockey jersey one day. It was fairly easy to create. 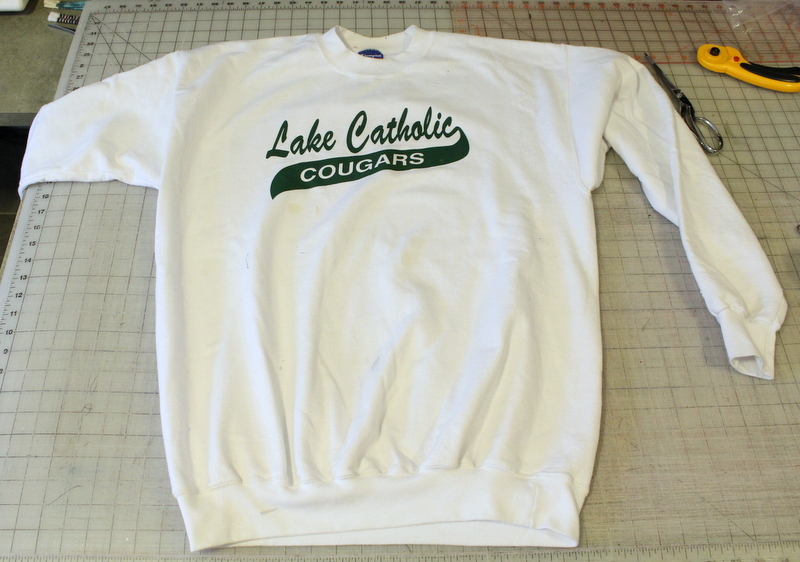 I started with an oversized (and stained) sweatshirt. 5. 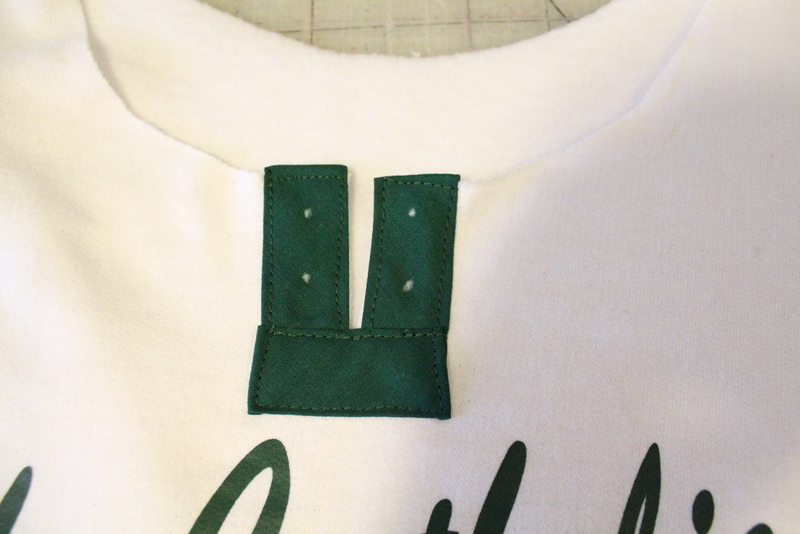 Create placket. 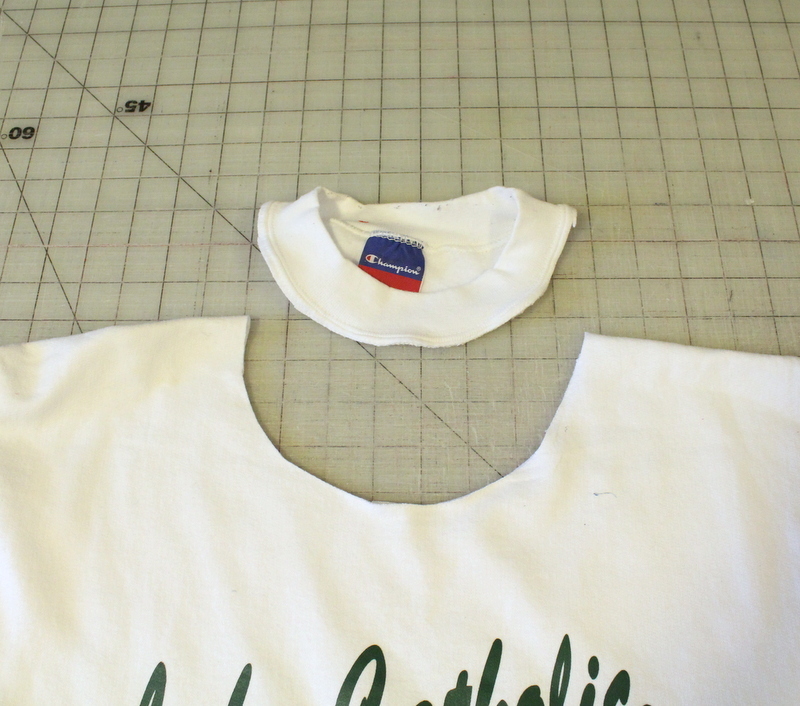 Cut down the center of the front only. I did not have a lot of room before I hit the letters. 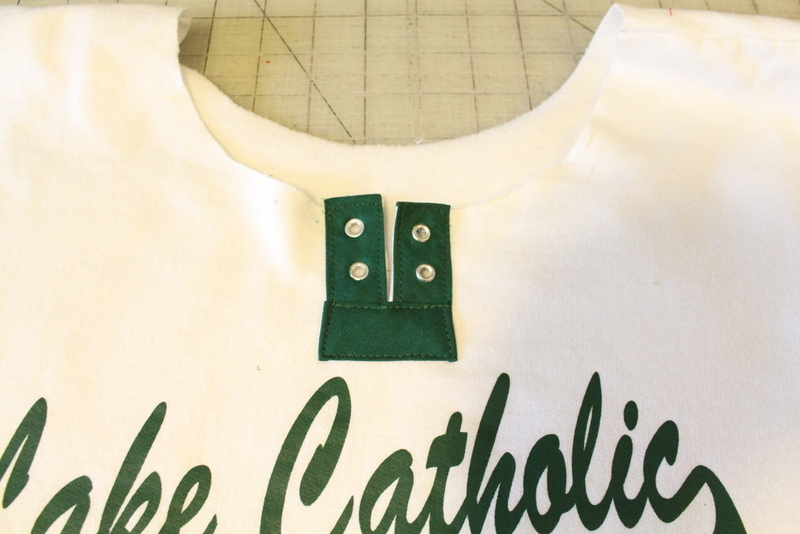 If I had, I would have made the placket a bit deeper. 6. 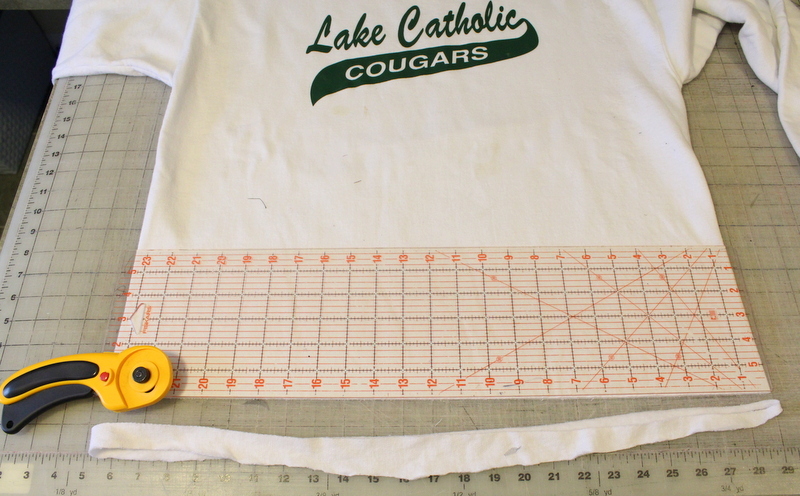 Stitch quilt binding to edge of placket. 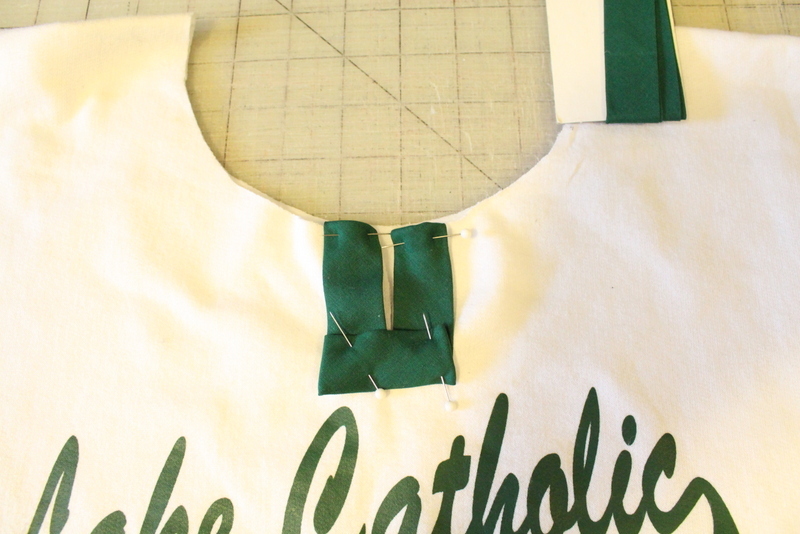 I pinned the binding alongside the cut, squared off the edges, and stitched in place. 7. 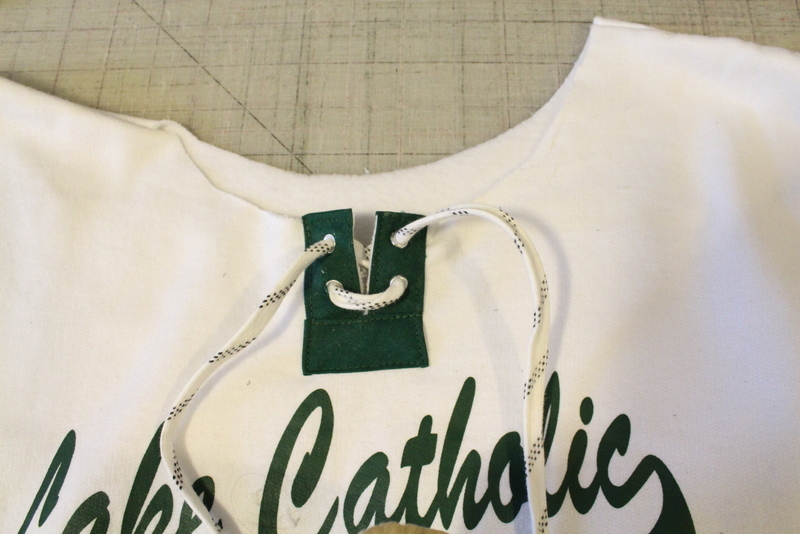 Create eyelets. 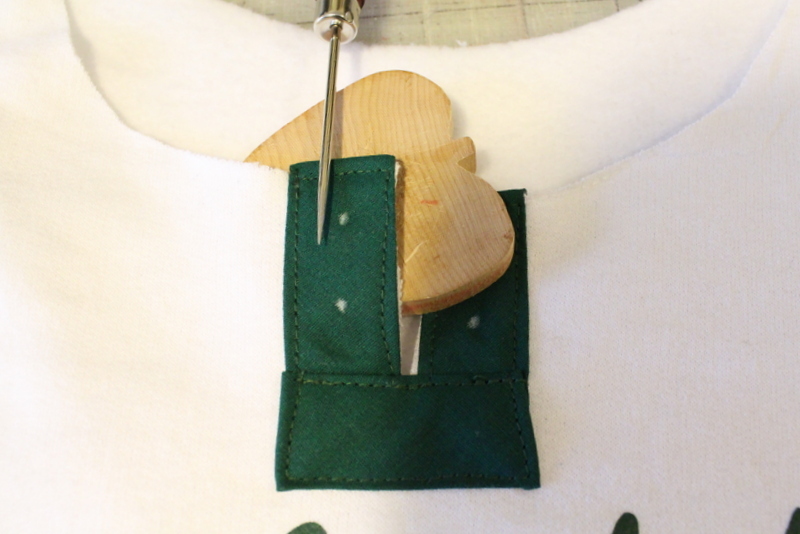 Use an eyelet to mark the placement. 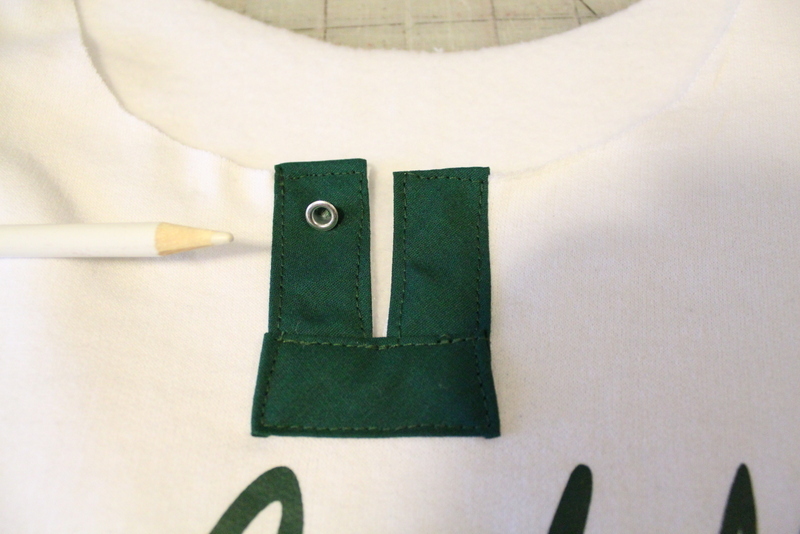 I used my awl to poke the first hole into the fabric. 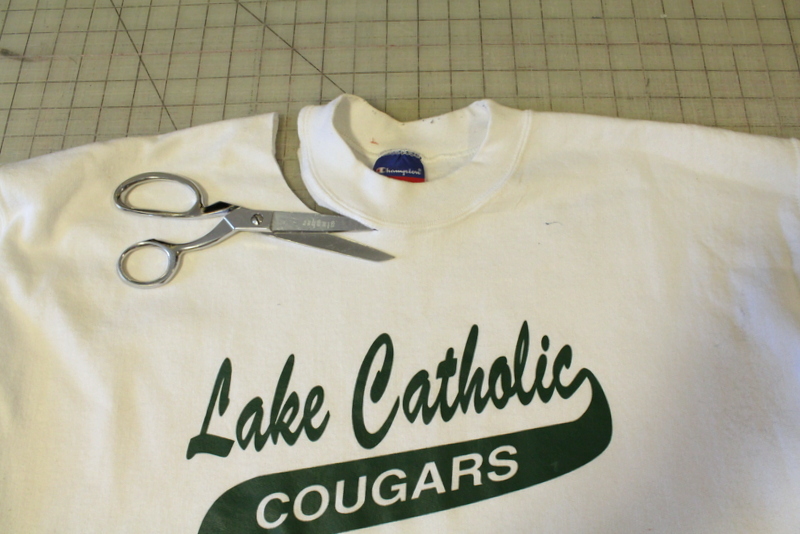 I then used my embroidery scissors to cut a small circle. 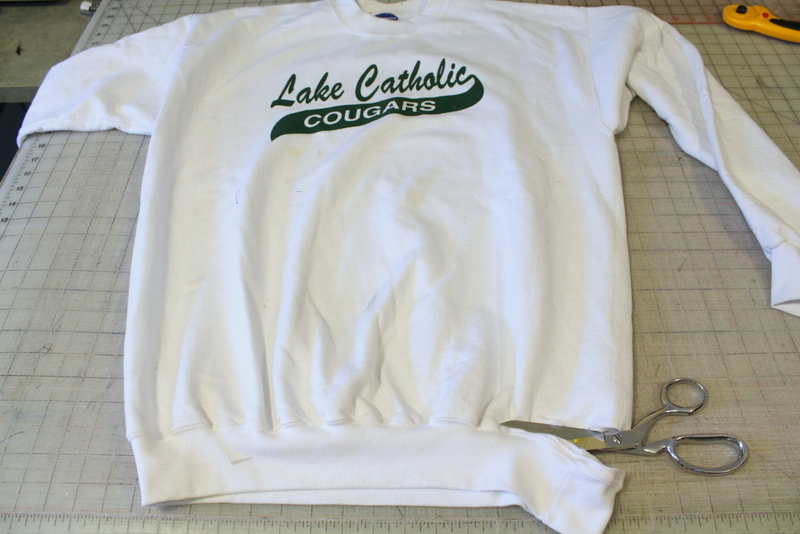 It was a little challenging to cut a small circle through the sweatshirt. 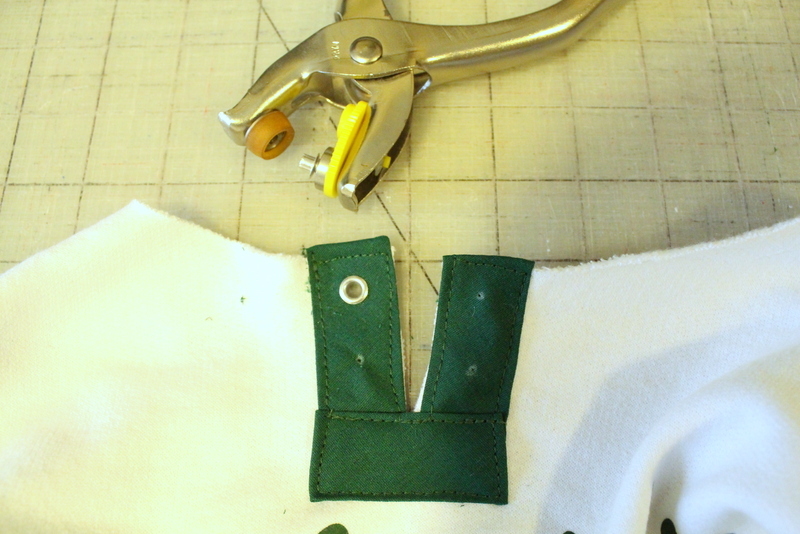 It was also my first time inserting a small eyelet. 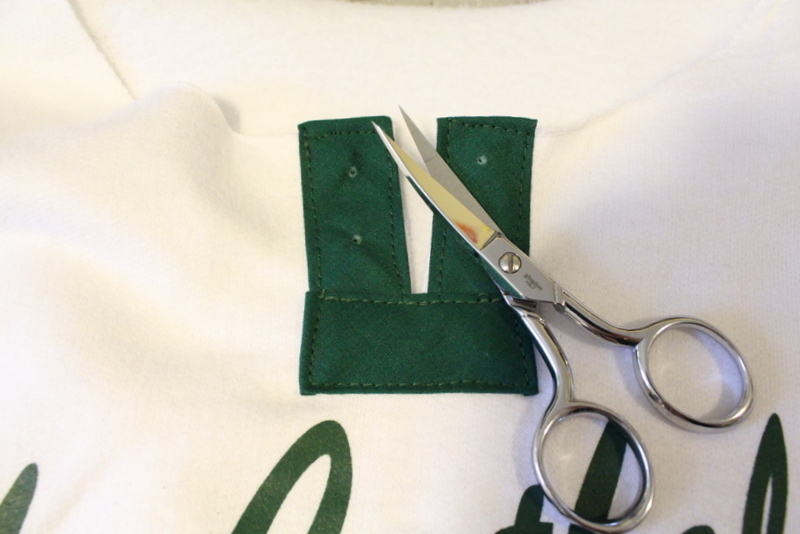 I used my Dritz tool to apply the eyelet. 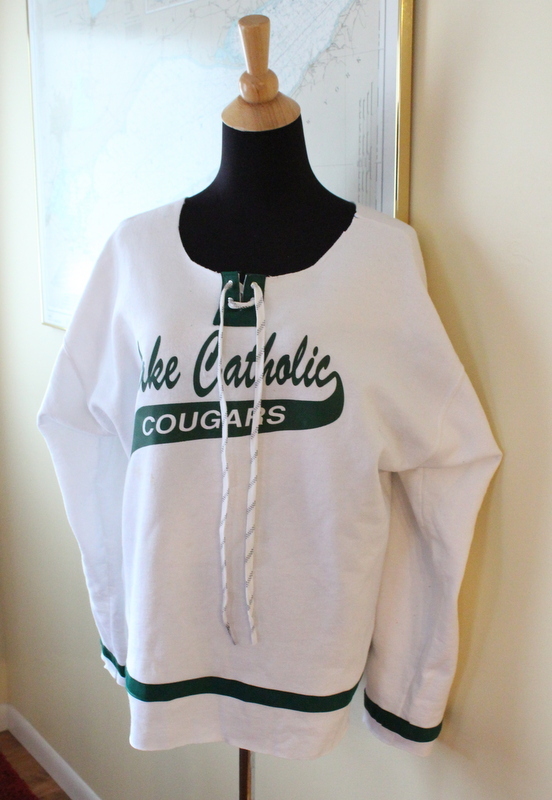 Since I have created this, I’ve been looking at hockey sweatshirts and many use a buttonhole instead of an eyelet. 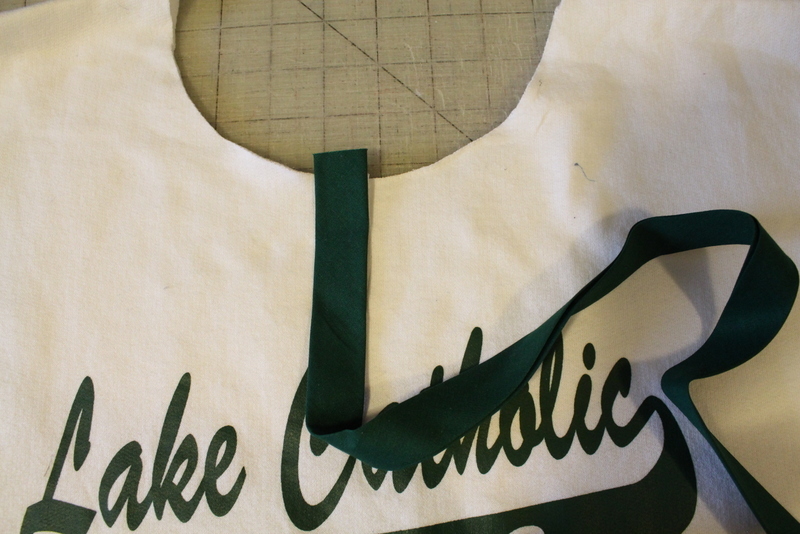 That would work well if you don’t want to deal with the eyelet! 8. 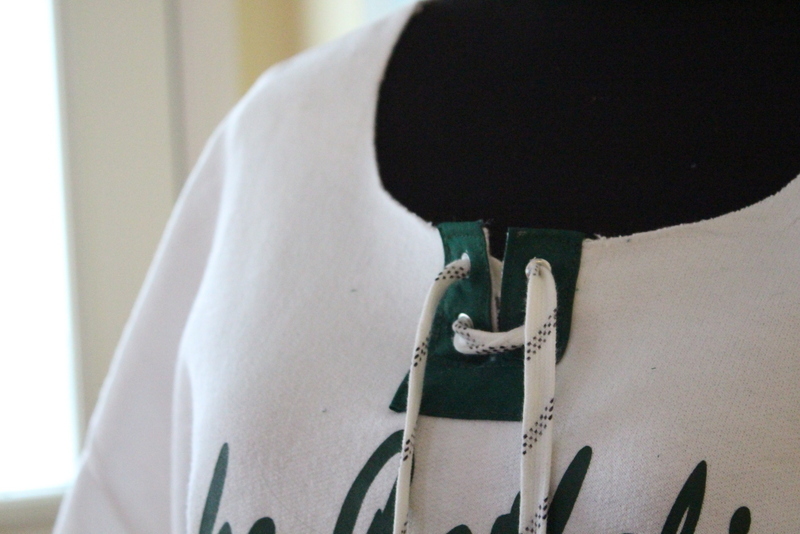 Lace a hockey skate lace into the eyelets. 9. 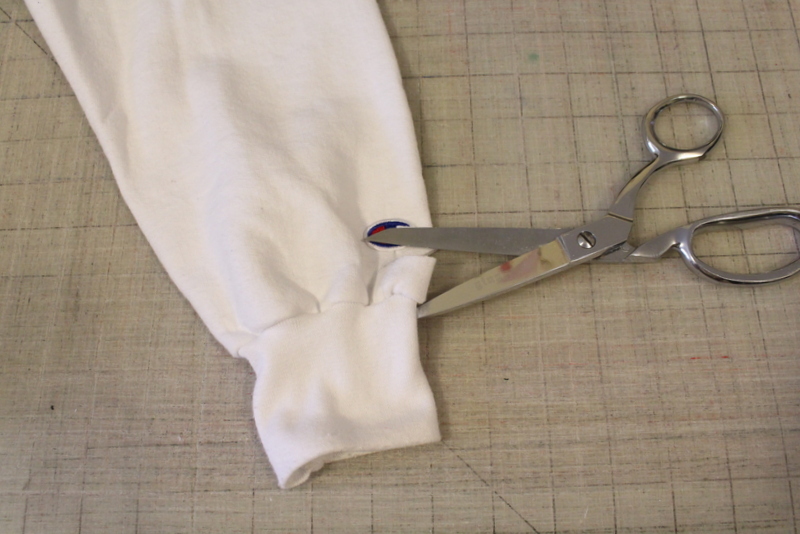 Stitch quilt binding around the bottom of the sweatshirt and the bottom of the sleeve. Add as many stripes as you would like. I love this idea! I was first a garment sewer. First for my dolls, then for myself. About 30 years ago I bought a business and stopped sewing for myself but now am anxious to get back into it. 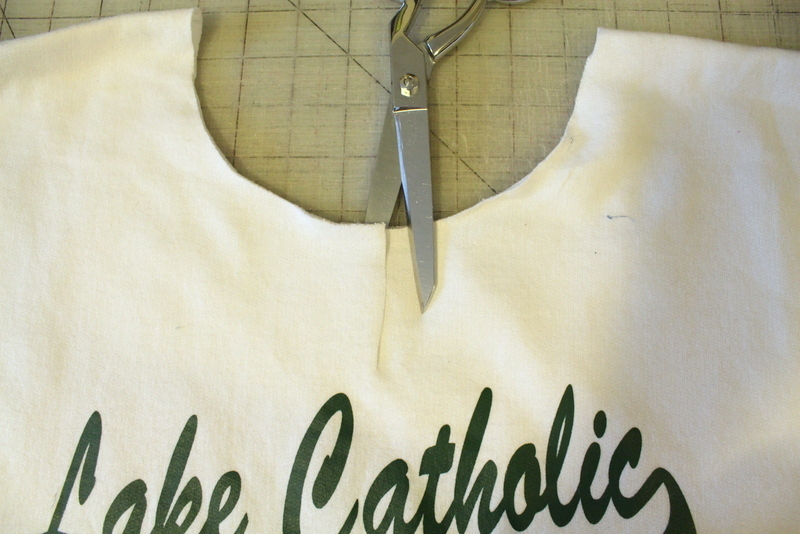 I love remaking things and this is a great idea! Thanks. 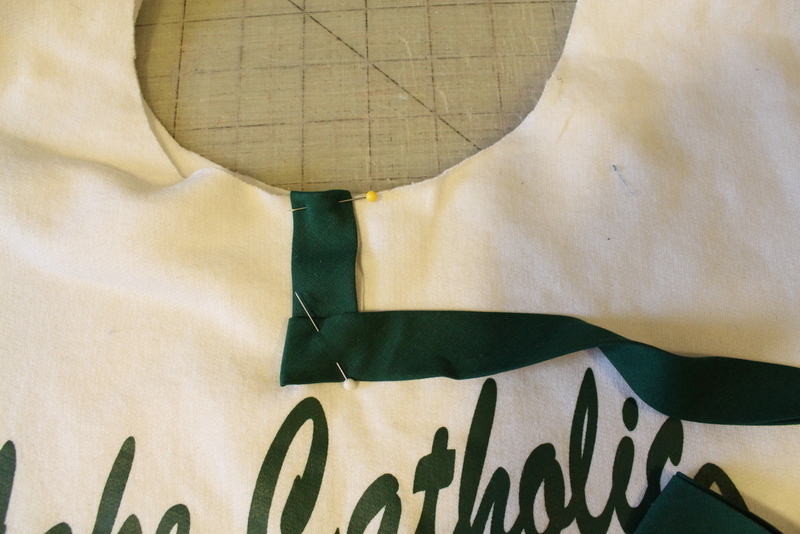 Carol, I understand not sewing for yourself! Every year I try to recommit to finding time to sew for myself!